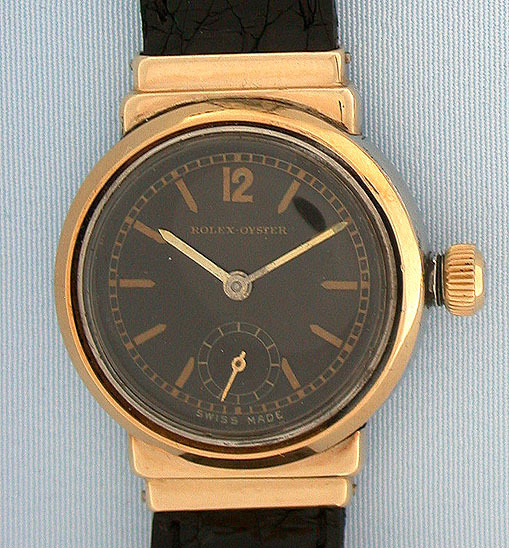 Early Rolex stainless steel and gold midsize vintage wrist watch circa 1934. 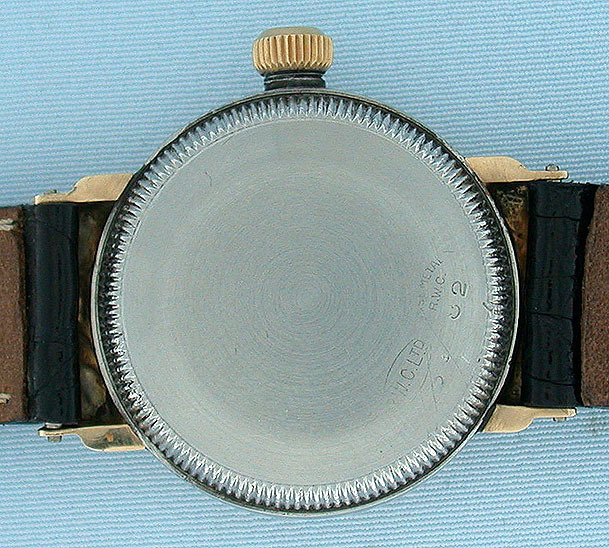 Original black dial with gold markings and gold hands. 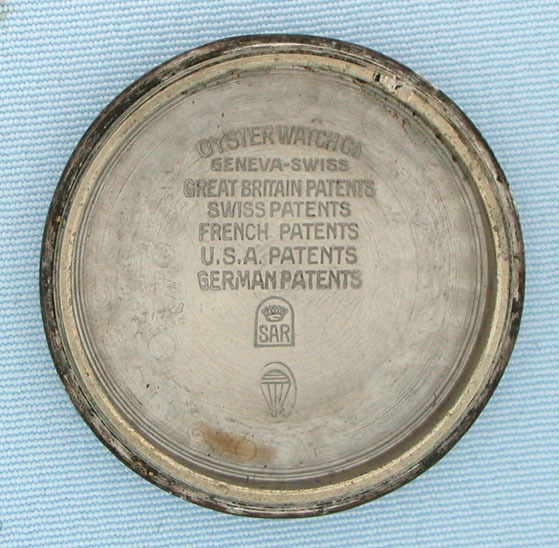 The case with stepped hidden lugs. 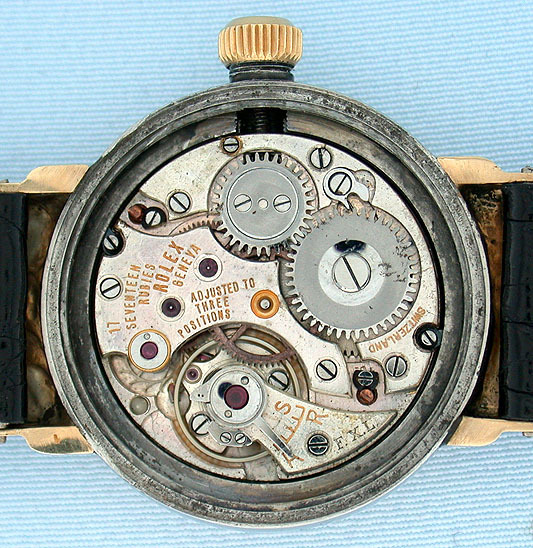 Nickel 17 jewel 3 adjustment movement.